But after a decade in the post-financial-crisis environment, she said it has become clear the bank’s mandate of helping inflation stay close to its target of two per cent has its down sides. “Even a well-functioning monetary-policy framework deserves an open-minded discussion, particularly in the postcrisis world we live in,” Wilkins said in prepared remarks of her address at McGill University in Montreal. One key issue, she noted, is that interest rates are no longer expected to rise as high they had before the crisis, which means there will be less room — or “conventional firepower” — for the bank to cut rates in an economic downturn. The bank, which is on a rate-hiking path, has said it expects its benchmark interest rate to eventually settle somewhere between 2.5 and 3.5 per cent, about two percentage points lower than it was in the early 2000s. Another concern, Wilkins said, is that lower rates may entice Canadians and investors to take on excessive risk — leaving the economy exposed to the ups and downs of financial cycles. Long-running low-rate conditions have encouraged Canadian households to amass record levels of debt. 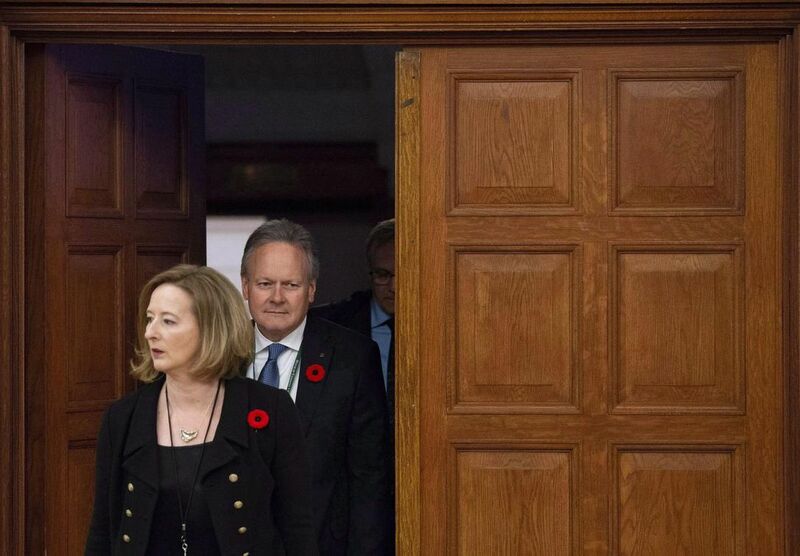 She said the Bank of Canada is conducting research on alternative frameworks, including a higher target for inflation and a more-flexible, dual mandate that would extend the bank’s focus to also incorporate labour and other economic indicators.